In our last Letter we began looking at the “Be, Know, Do” (BKD) model of leader development. This model is used by the U.S. Army but has also gained some measure of popularity in Christian leader development circles. In defining a holistic goal for leader development, the BKD model has some clear strengths; indeed, it is far superior to a purely academic approach. However, the BKD model also has significant limitations – especially when used in distinctly Christian leader development. Again, our purpose is not to critique the Army’s use of this model, but rather its use as a goal for distinctly Christian leader development. 1. The BKD model emphasizes character development – indeed character is so important to the Army that it comes first. 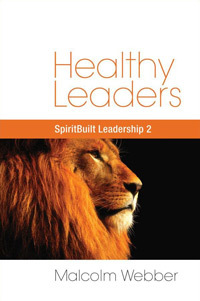 Certainly, character is vitally important in Christian leadership but it is not first. However, Christ is entirely missing from the BKD model. This is not a small issue, but it is a critical and ultimately-fatal flaw of the BKD model as a basis for Christian leader development. Union with the Person of Jesus Christ is not a “part” of Christian leadership – it is the very nature of Christian leadership. Thus, union with Christ must explicitly and pervasively define Christian leader development. Furthermore, just as Jesus lived His life by the indwelling life of His Father, so we are to live our Christian lives by the life of Jesus in us. Just as Jesus lived in continuous fellowship with His Father, so we are to live in constant inward fellowship with Him by His Spirit. Jesus’ leadership entirely came from His union with His Father, and He sent us to lead the same way. This is the source of Christian leadership: fellowship with Jesus Christ by His indwelling Spirit. It is Divine fellowship that enables us to live and to lead according to Divine life. Biblically, Christian leadership is not character-based; it is Christ-based. According to the Army’s BKD model, values are crucial to leader development because values “tell” the leader what he needs to do, guiding his everyday actions and decisions. This view, while exemplary for a secular organization, is not, however, a biblical view of Christian leadership. In Christian leadership, everything does not proceed from character and values; everything proceeds from union with Christ. This is not mere semantics but it goes to the very heart of how we understand the Christian life and Christian leadership. To make this distinction is not to undermine the importance of character and values. On the contrary, this actually establishes true character and values, proceeding not from human effort but from the indwelling life of Christ! True Christian leadership is not possible without Christ first! This is not just the “best” way; it is the only way to true Christian leadership. Everything else is mere human works. Jesus is preeminent! It is conceivable that someone would add Christ as a sub-point to the BKD model; for example: “Be” (the leader walks in union with Christ) or “Know” (the leader knows God). However, in view of the absolute preeminence and centrality of union with Jesus Christ as the very core of what Christian leadership is, to adapt the BKD model to Christian leader development by simply adding Christ as a polite sub-point is hardly appropriate! Union with Christ is not a sub-point added as an afterthought – it is the very core, the very essence of Christian leadership and must be at the very center of all our leader development endeavors. In summary, while we recognize the appropriateness of the Army’s use of the BKD model, it is absolutely unacceptable as a model for Christian leadership and leader development; its neglect of the Person of Jesus Christ disqualifies it. In our next Letter, we will examine several more limitations of the BKD model as a basis for the design of Christian leader development.